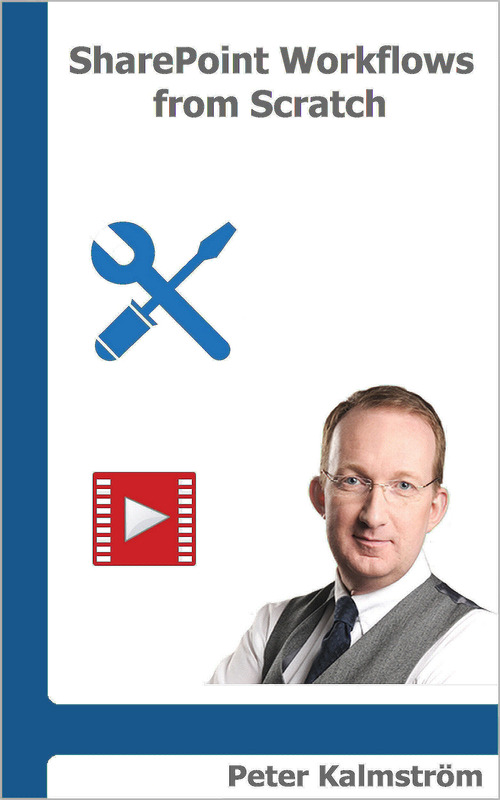 Import Excel table to SharePoint list - Tip from kalmstrom.com Business Solutions. In the demo below the kalmstrom.com CEO Peter Kalmstrom shows two ways to import data from an Excel table to a SharePoint list. As an example Peter uses a company contacts list for staff that is already present in Excel. This Excel list has a link to a photo of each staff member. Peter uses Excel and SharePoint 2013 for his demo, but the two methods are avaliable in earlier versions too. For both methods he must first format the Excel list as a table. The first method Peter shows is to export the table to a SharePoint list with the Export button in Excel. This method creates list columns in SharePoint. The resulting list is not very user friendly, but Peter shows how to modify it so that it works well. However, with this method the photos will still be links. The second method is more complicated but also much more powerful. Now Peter begins in the other end, in SharePoint, and he also uses Access. That way he can control what columns will be used. Site columns give several advantages, for example in searches, so Peter prefers them to list columns. The second method makes it possible to use site columns and also to display the photos directly in SharePoint. This method can be used in the same way for CSV files. 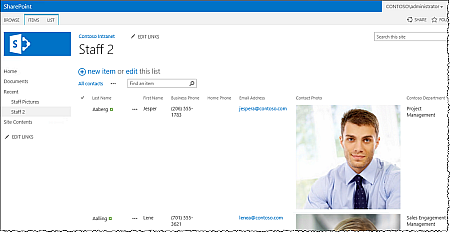 Create a Contacts list in SharePoint.